I started writing online in 2011 at my main writing site HubPages. It is a content writing site and I am 7 years member there. After a few years of writing at HP, I joined other writing sites like Bubblews, Niume, CGP… which sad to say, are gone forever. Through writing online, I learned a lot not only about writing but also about the computer. Yes, I tried and tested many things regarding computer apps and gadgets. I met many fascinating writers, bloggers, bakers and cooks/chefs online. I became adventurous and didn´t want to stay on one site and so I opened an account on Googles Blogspot and started writing on my own sites with many topics. I write many things about traveling, tips, gardening, massage, Germany and most of all baking and cooking. 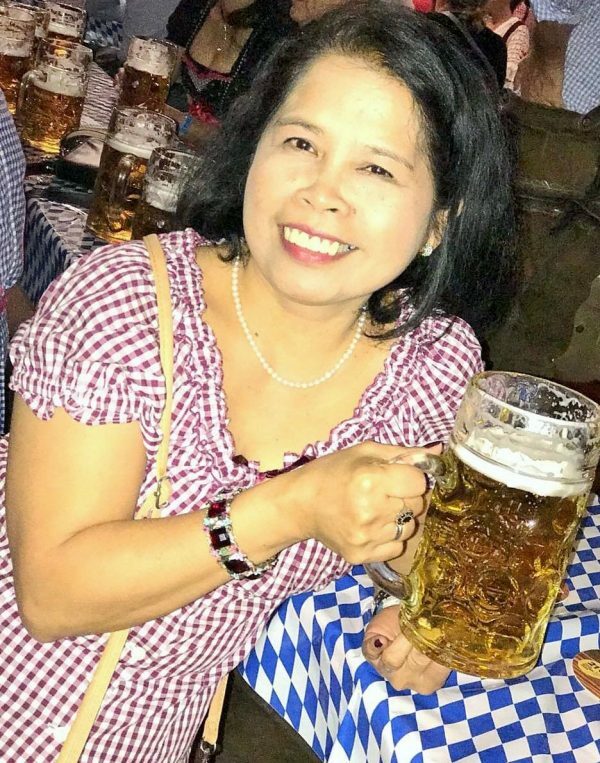 Through my passion for writing, I met a fellow Filipina who is like me, married to a German. We have the same interest as she is a writer and a poet. She is Ces, a publisher of a Filipino German Blog Magazine PILYA, in Germany. I write for her magazine since the beginning of it. Through my love of taking videos about my travel, I venture to posting videos about the places I have been to in my home country the Philippines and my 2nd home Germany. I joined YouTube and have my own channel, Thellys Travel Videos & More. Writing makes me forget everything but baking and cooking is what I do most when I have no idea what to write. Put a parchment paper on the baking tray. Line up the 6 toast bread on it. 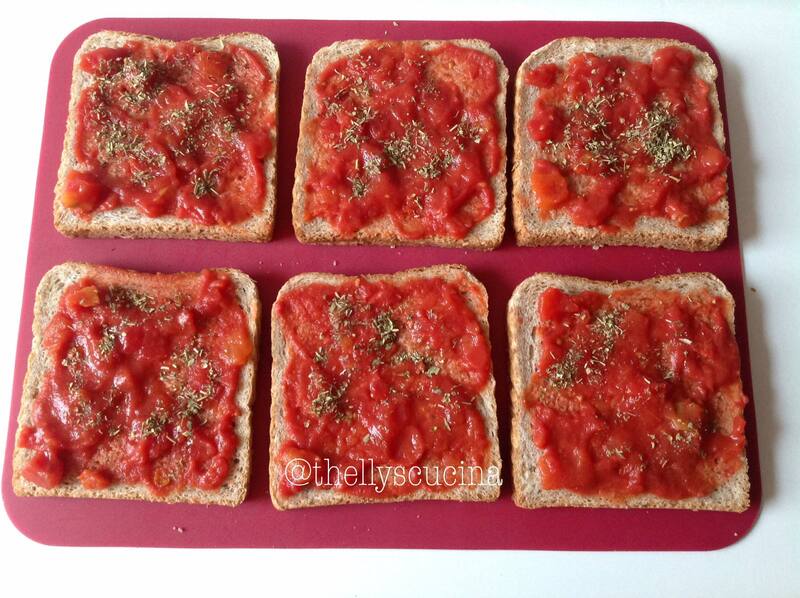 Spread 2 tablespoons of the tomato chunks with sauce on every slice of bread. 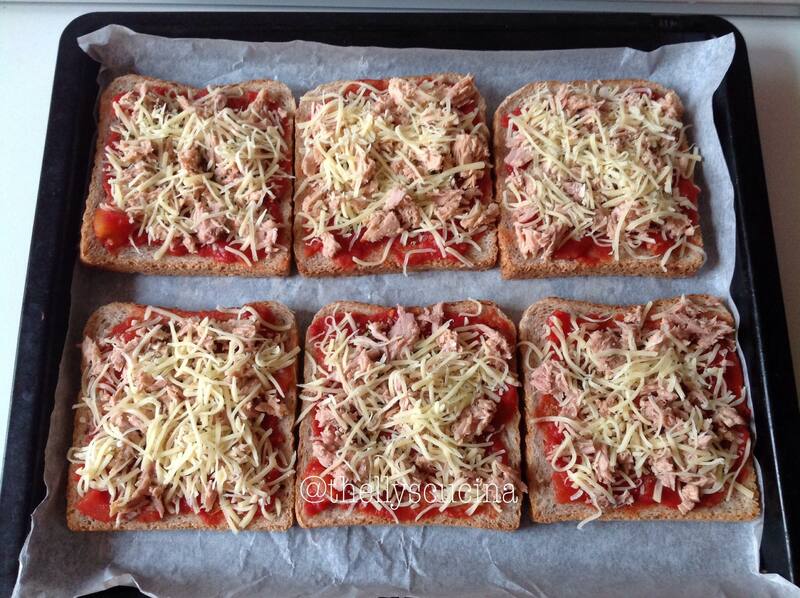 Sprinkle dried Italian pizza herbs. Add some grated cheese on top of the herbs. 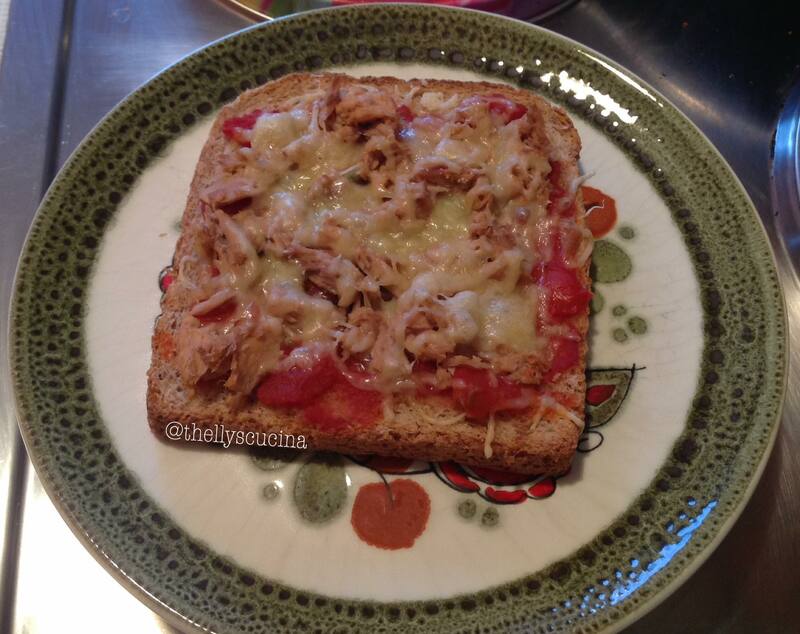 Then add the tuna flakes on top. Then add the remaining grated cheese on top of the tuna flakes. Bake for 15 to 20 minutes in the preheated 200°C oven. Serve hot and if you wish, with vegetable salad. This recipe is one of the best easy to make food when you will have an unexpected visitor. That is if you have all those ingredients in your storeroom. Thank you very much Esme for inviting me to be a guest blogger on your cookandenjoyrecipes site. It is an honor for me to be on your site. I am so happy to see this. I will reblog this to my wp site. Thanks again. Thelma, I am the one to thank you for sharing your post on my site. Thank you very much and also thank you for sharing on your site. Love it. I almost forgot about this. I was checking my emails and have seen that my guest blog at #cookandenjoyrecipes was published yesterday. I was so busy that this most awaiting guest blog is now online. Btw, it is my first time that I participated in guest blogging and so you can imagine how happy I am now. Now you will know more about me and my passions. You can check on the bottom of this reblogged post the links where I am writing. Yes, they are so many and I try my best to maintain all those sites. Please feel pray to share this blog with every social media sites you want to. Thanks to all of my readers. 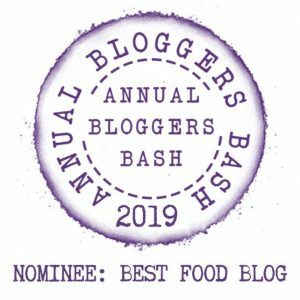 Thanks so much dear Thelma for this reblog, and should any of your readers wish to participate in the Guest blogging feature please do get in touch. You are very welcome Esme. 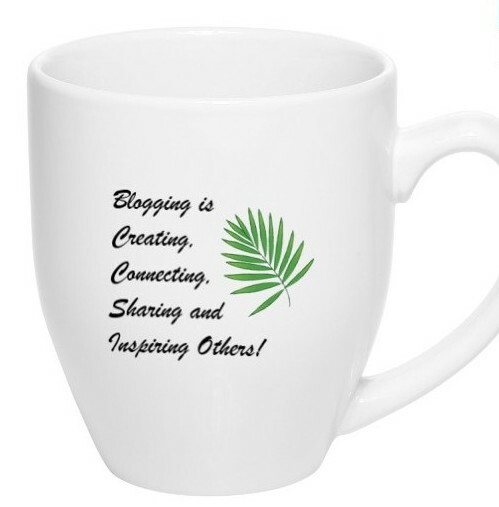 Yes, I would ask some of my readers to participate in Guest blogging here. Thanks for the idea. Thanks for popping in Christy. I just love the variety of Guest Posts we have here. How about you???? Thanks, Esme;-)) Yes, how about you Christy? Yes, I am glad seeing Christy again. We are friends in fb so we are reading each others posts any time we can. 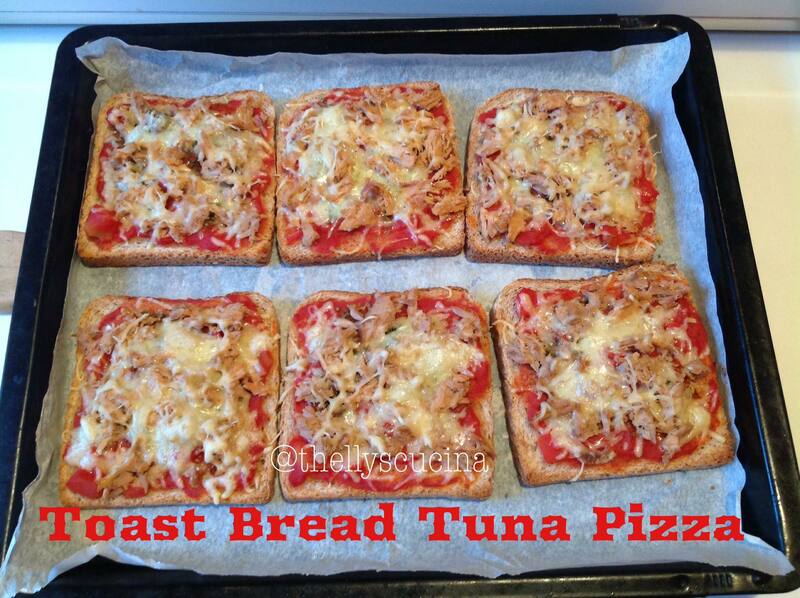 Looks easy and yummy. Thanks, Thelma!! You are welcome Darlene. Thanks to you, too. Have a great week!